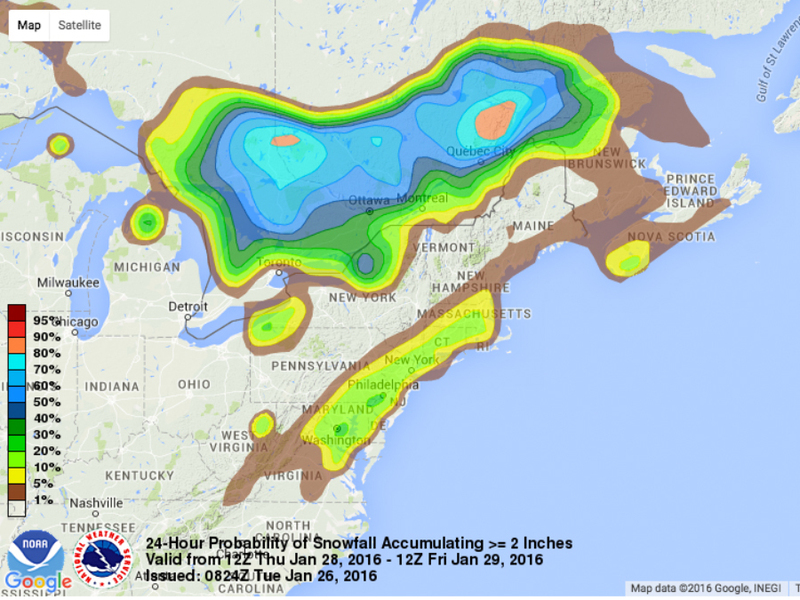 Will the East get hammered with more snow? Meteorologists are eyeing another low-pressure system that could take a path similar to the storm that buried the East Coast in snow last weekend. It's only been a few days since someone was able to snowboard in the streets of New York City , and this next system is set to travel up the East Coast on Friday. Before anyone starts evacuating the Eastern seaboard or stocking up on their favorite blizzard snacks — milk and bread -— let's take a closer look at what's going on. The low is still developing, and it won't develop until late Wednesday or early Thursday when a front stalls over Florida. This is where the low will develop. From there, this system is expected to head up the East Coast — or at least near it. While it's possible this system could hug the coast and drop a lot more snow on places that are just now getting dug out, the chances of that are pretty slim. Most forecast models currently agree this system will move farther into the Atlantic, which means a lot less snow up and down the coast, if any at all. It looks like the country will be spared of any snow this weekend, but some long-term forecast models are showing a strong winter storm targeting the middle of the country early next week — on Groundhog Day . We'll have to wait and see if this pattern repeats itself or a new one emerges. In the meantime your SnowCast app can alert you when snow’s heading your way.